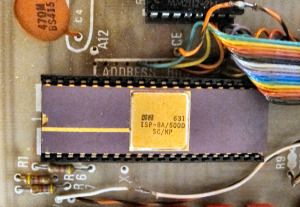 The SC/MP from National Semiconductor is an early microprocessor, which became available in early 1974. The name SC/MP (pronounced “Scamp”) is an acronym for: “Simple Cost-effective Micro Processor”. 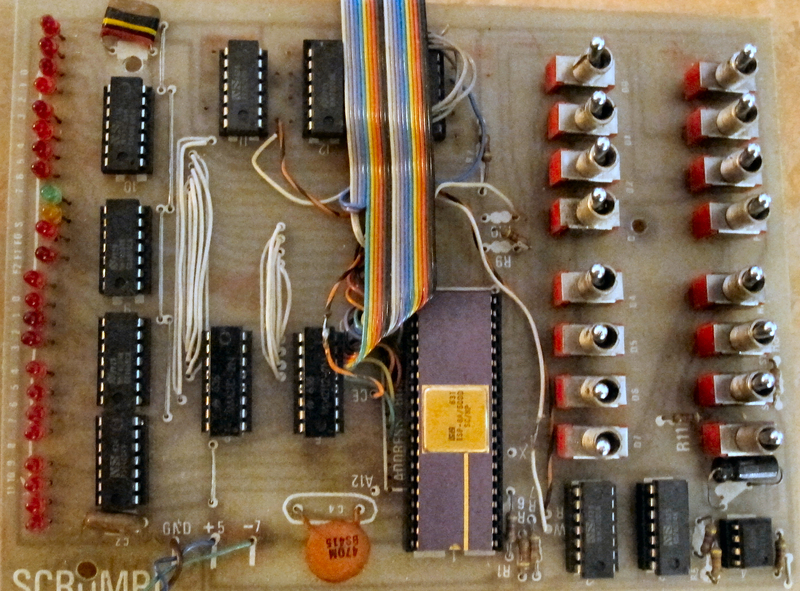 I purchased a very simple development board in 1977 and started down the road of hobbyist computing that I remain on today. 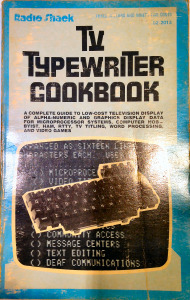 It had 256 bytes of RAM and 512 bytes of PROM no keyboard or display of course. 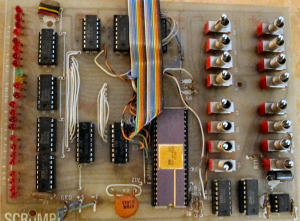 The board had been designed by John Miller-Kirkpatrick at Bywood computers as an inexpensive alternative to some of the professional development boards that were then on the market. 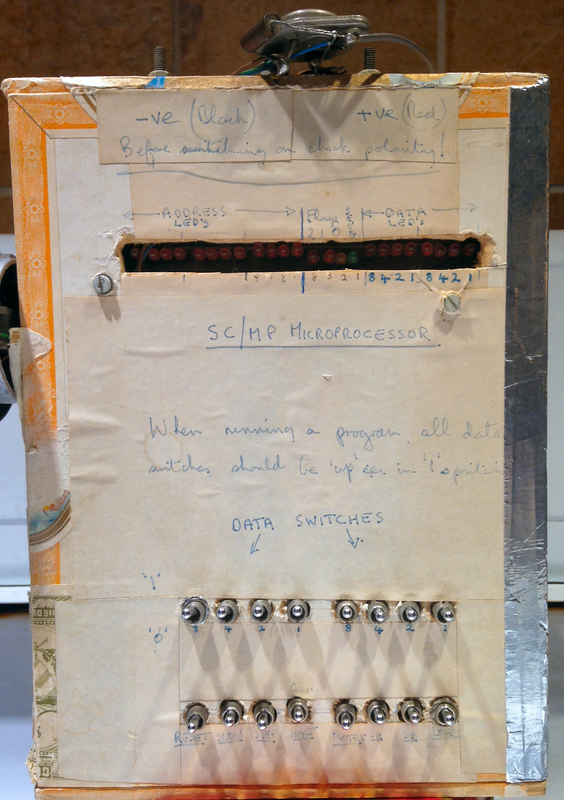 The machine was the SCRUMPI, a basic single board computer which first went on sale, in kit form, at the end of 1976, more than 14 months before the arrival of Science of Cambridge’s MK14 and also before the Acorn Microcomputer board made its début. 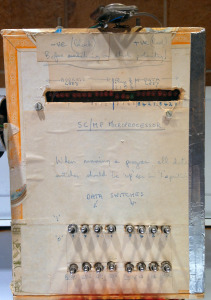 These were the days when cigar boxes were popular cases for electron ic projects and this was the result. The telephone headphone is attached as a sound generator and the power transistor assembly was a power supply providing the +5 and -7v supplies needed by the board. The ribbon cable was a retrofit I made to attach a full keyboard and eventually a visual display on a TV via RF Modulation. Of course the assembly language needed to drive these attachments had to be loaded by hand, step by step, on the toggle switches – a highly error prone process! I never did get a tape cassette unit working. 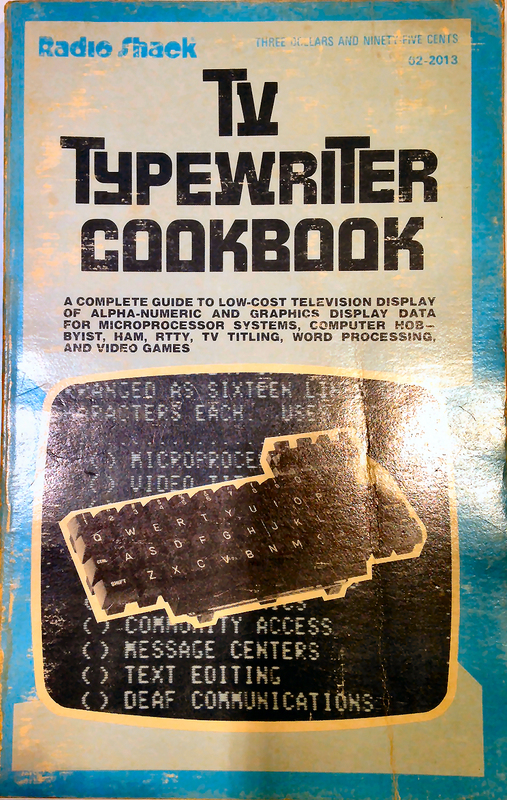 Among my electronic “bibles” at the time was the TV Typewriter Cookbook by Don Lancaster, I still treasure a copy today.